When someone mentions "travel", our minds usually automatically jump to other countries. 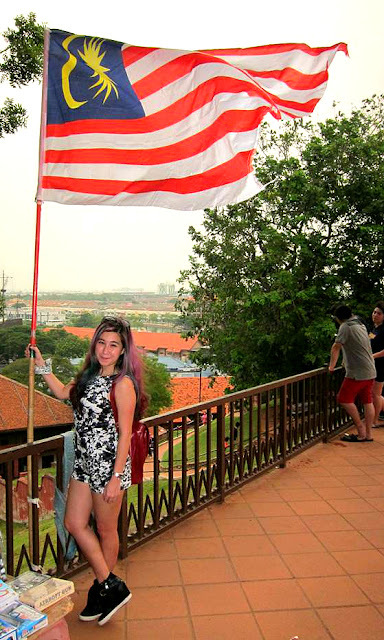 "I want to visit the old towns in Vietnam!" "Thailand has such beautiful temples." "The food in the Philippines is supposed to be awesome!" But what about our own country, which is also a big part of the much-loved touristy part of the world called South East Asia? 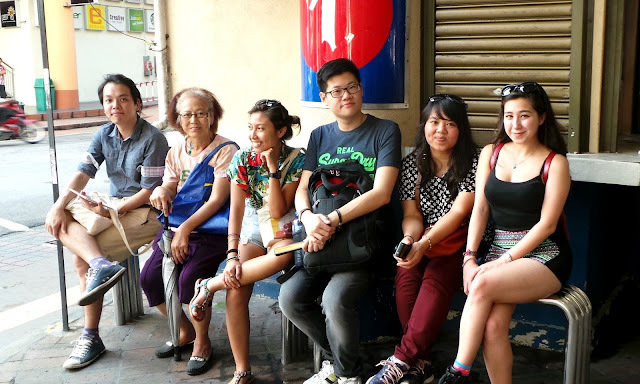 Well, I got the chance to explore Penang with Air Asia Bloggers Community (AABC), and although I've been there twice before, there was so much more to discover, especially since we were assigned a Penang blogger as a "guide" for every group! Jian, an aunty who showed us the way, Ana, Ken (our Penang blogger), Diana and me! According to Ken, Penangites have a lot of choice when it comes to breakfast. Some like roti bakar (toast, usually with kaya and butter), some prefer char key teow, others prefer chee cheong fun Penang style, but whatever you choose, there's one thing everyone can agree on, and that is that they're all YUMMY! We opted to go to MacAlistar Road as a lot of the other groups headed for roti bakar. Apparently, when people think of Penang, they think of the Komtar building. To be perfectly honest, I had no idea what the Komtar building was, and was slightly disappointed to find out it was just where the bus station was haha. When I think of Penang, I think of food, the Penang bridge, and the heritage buildings, not to mention the well-known love for art! Options: You can take the bus, rent a bicycle, hop on a ferry, or just get around on your trusty two feet! As a tourist, the most essential thing anywhere is: good public transport! And that's what we found! 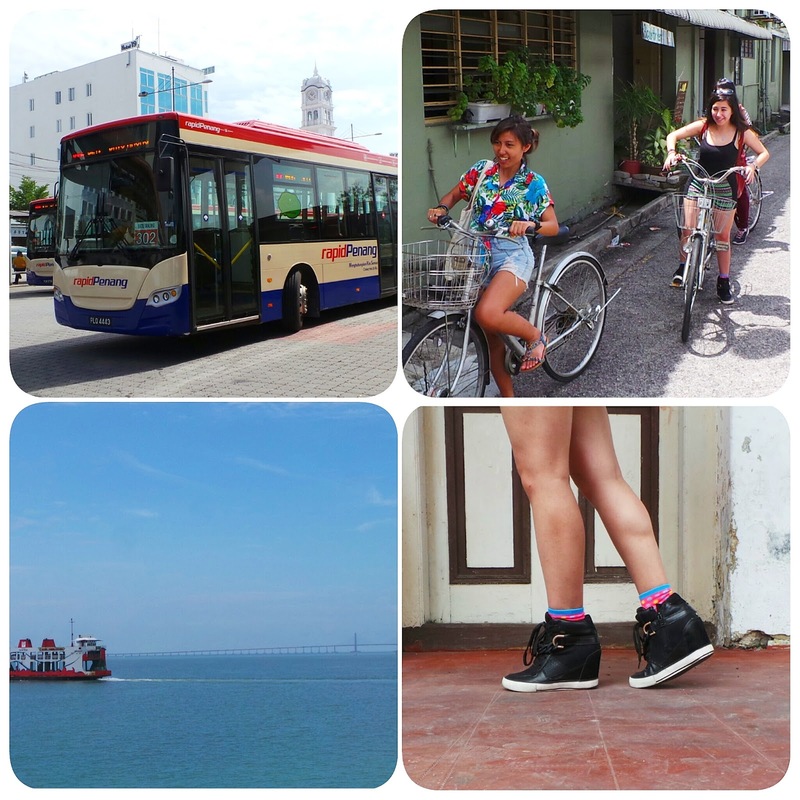 The ferry ride was especially enjoyable, and it links the island side of Penang to the mainland. Old buildings are kept almost pristine..
We spent quite a while trying to figure out what we could do for this one. It wasn't until we stopped focusing on the word 'trail' that we realised: Penang is a heritage city, i.e., everything we saw was part of the so-called heritage trail! Yep, the last challenge was food again. 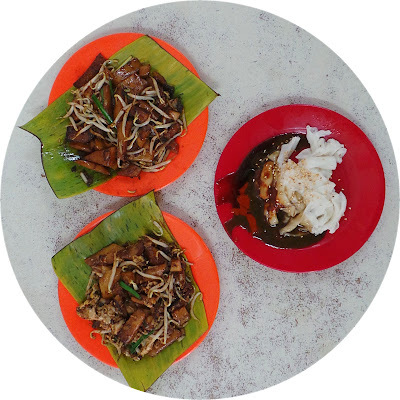 If you're Malaysian, you'd definitely know that Penang is known as the food capital of Malaysia. All kinds of dishes still cooked the traditional way (a lot of street hawkers still operate there), at a significantly lower price than other places in Malaysia, with no compromise on taste. Voila! 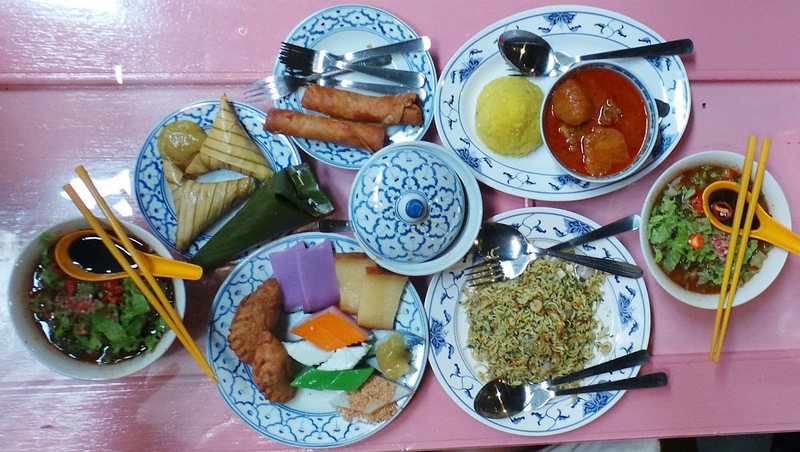 A table-full of nyonya cuisine was a no-brainer! Looking for a getaway? Air Asia flies to Penang from Kota Kinabalu twice daily, so no pesky transits to get in the way of you and a great time!